Just about every member of staff will appreciate an office party, but they won’t necessarily volunteer to help organise it. However, there are many companies out there that will put on the ultimate Christmas party for you and even tailor a complete package to your company’s needs. If you are looking for a venue with a difference, then the HMS Warrior could be what you have been searching for. The historic Victorian ship hosts Christmas parties, with a DJ or live music if required. They also have a Christmas menu, which is provided by their specialist caterers. HMS Warrior dates back to the 1800s and it has been restored back to its original Victorian state. 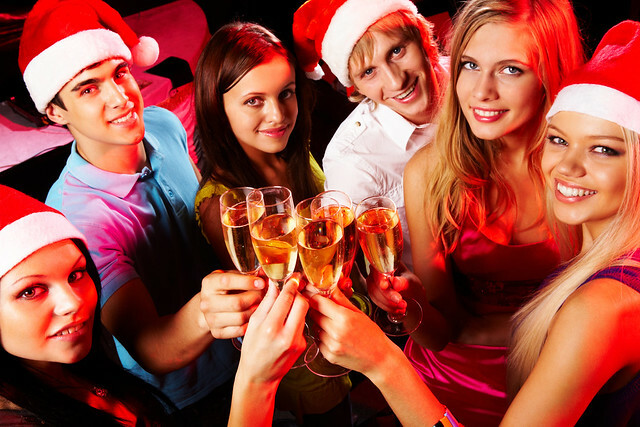 Tiger Tiger has a team of party planners to arrange a Christmas party for you. They can organise themed parties and live entertainment, and they invite people to discuss the different options with them. It is a unique venue with seven different bars to choose from all under the same roof – so plenty of opportunity to party until the early hours of the morning. The venue has themed rooms, so party goers can choose something that suits their style. Tiger Tiger offer a choice of different drinks – cocktails, shooters and wine to name a few. They also have a choice of menus so groups can choose from several dining options including buffets. Murder Mystery Events have a unique twist on the Christmas celebration. Instead of hosting the usual Christmas parties, they host a Christmas murder mystery evening. These evenings are hosted throughout hotels in the UK and each package will include an interactive murder mystery, dinner, drinks, and a disco. Alternatively, they have the option of allowing groups to organise their own mystery murder evening, which will cater for up to 25 guests; groups can play an active part in the murder mystery evening along with some professional actors. The Interactive Christmas Dinner Theatre is one of their bestsellers and open to an unlimited amount of guests. Groups also have the option of personalising the play. Moreover, they organise team building events, corporate events and product launches.